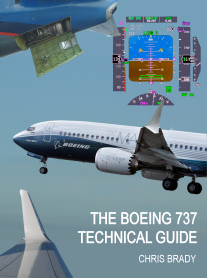 The UAE GCAA Have just released their final report into the 737-800 IFE smoke event. Details below. On 9 April 2014, during the descent of Flydubai Boeing 737-800, registration A6-FEK, to Kiev Boryspil International Airport, Ukraine, at approximately 15,000 feet altitude, the visual display unit (VDU) of the In-Flight Entertainment (IFE) system at seat 9A started to emit smoke. Accordingly, the cabin crewmember moved the passengers seated in 9A, 9B and 9C to other locations. The cabin supervisor switched off the power to the IFE system and advised the flight crew of the situation by interphone. Another cabin crewmember obtained a fire extinguisher and smoke hood from the forward cabin and discharged the contents of the fire extinguisher in several applications until the smoke diminished. The captain, who was the Pilot Monitoring (PM), contacted Kiev Air Traffic Control (ATC) and declared a "mayday". The captain commenced the 'Smoke, Fire, Fumes' checklist in the Quick Reference Handbook (QRH). While completing the checklist, the cabin supervisor called informing him that the smoke had stopped and dissipated. The captain resumed his normal PM duties and handled ATC communications until the Aircraft landed uneventfully. 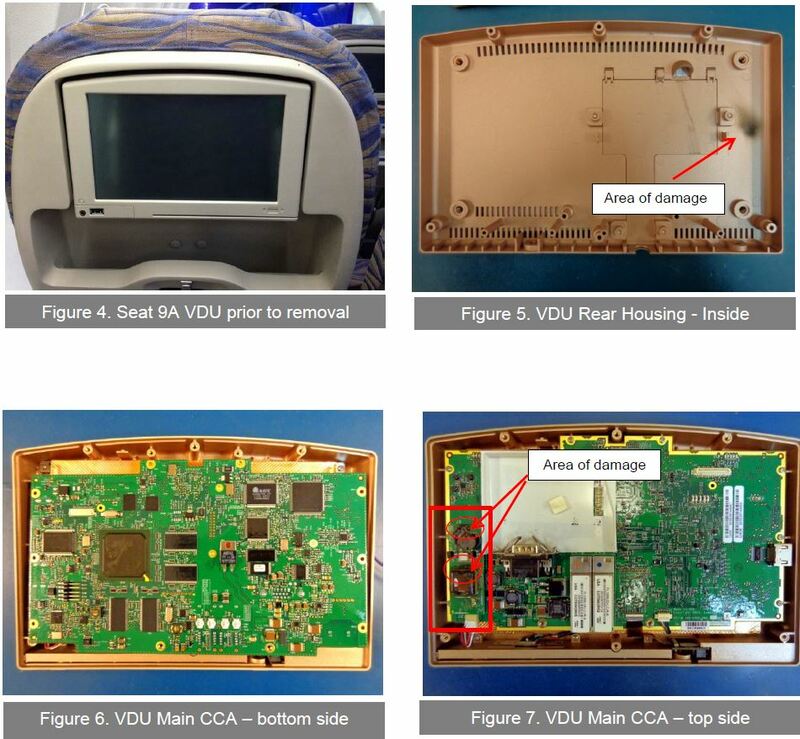 The Air Accident Investigation Sector (AAIS) determines that the causes of the smoke that emitted from the VDU of seat 9A were: Gasses emitted from the printed circuit board (PCB) of the VDU backlight inverter board; the heat caused by increased current demand after the break in the secondary coil of the transformer followed by the failure of the primary side transistor components; and the failure of the fuse to open quickly and isolate the circuit due to its inappropriate rating related to the VDU application and possibly other reasons not determined by the Investigation. A Contributing Factor to the Incident was that the material of the fuse might have helped in transferring heat by 'conduction' between the fuse and the PCB of the backlight inverter board. Four safety recommendations are included in this Report. Two recommendations to the operator, to: ship any removed VDU to the manufacturer for replacement of the fiberglass substrate material fuse by a ceramic body, suspended-in-air filament fuse; and for any future orders for any aircraft type equipped with similar VDU part number, to ensure that the VDU is of the modified LED backlight or modified open-to-air fuse standard. Two safety recommendations are issued to the General Civil Aviation authority (GCAA) of the United Arab Emirates, to: ensure that any future Supplemental Type Certificate (STC) relevant to IFE installation on any UAE-registered aircraft refers in the 'materials required' section to the modified VDU; and disseminate the information included in this Report to all UAE operators for their proactive action in relation to any existing affected VDUs or for the addition of aircraft to their fleets equipped with similar part number VDUs.